1. Compact and classic design with cool color. 2. Durable for use and hard to be broken. 3. The handle is comfortable to hold. 4. 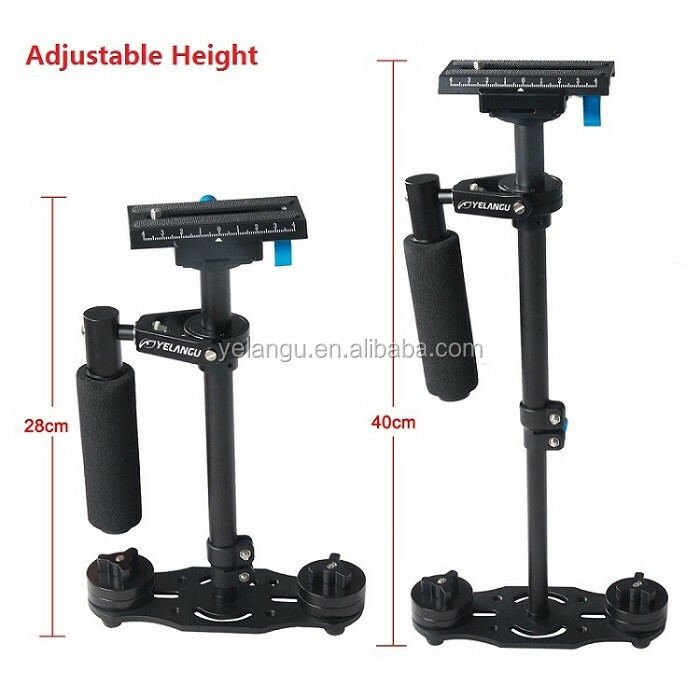 Help the camera keep balanced and stable. 5. 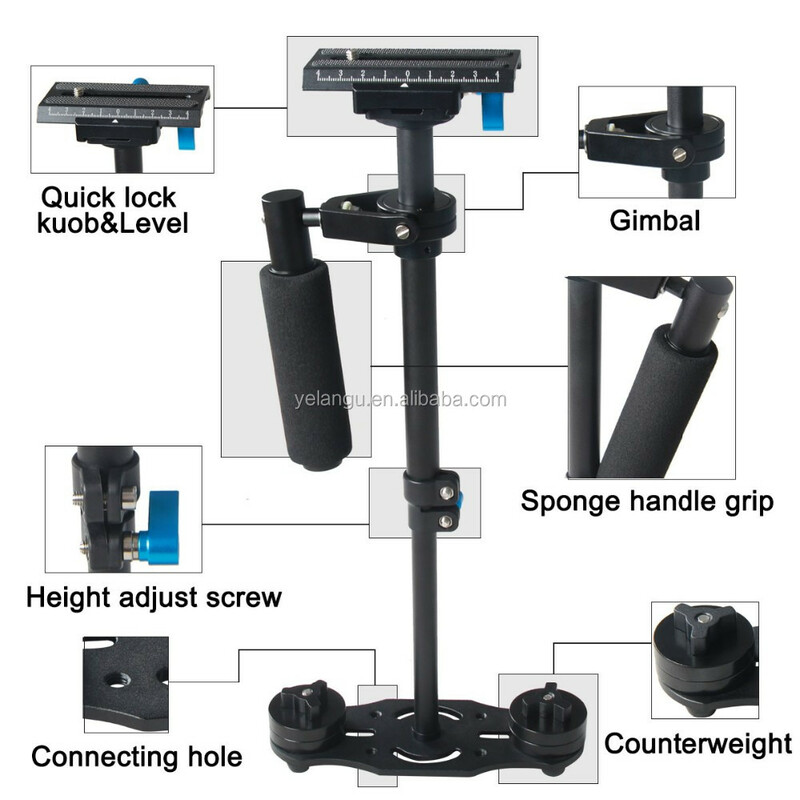 Operate simply and flexibility, wide range of uses,with compact appearance. 6. 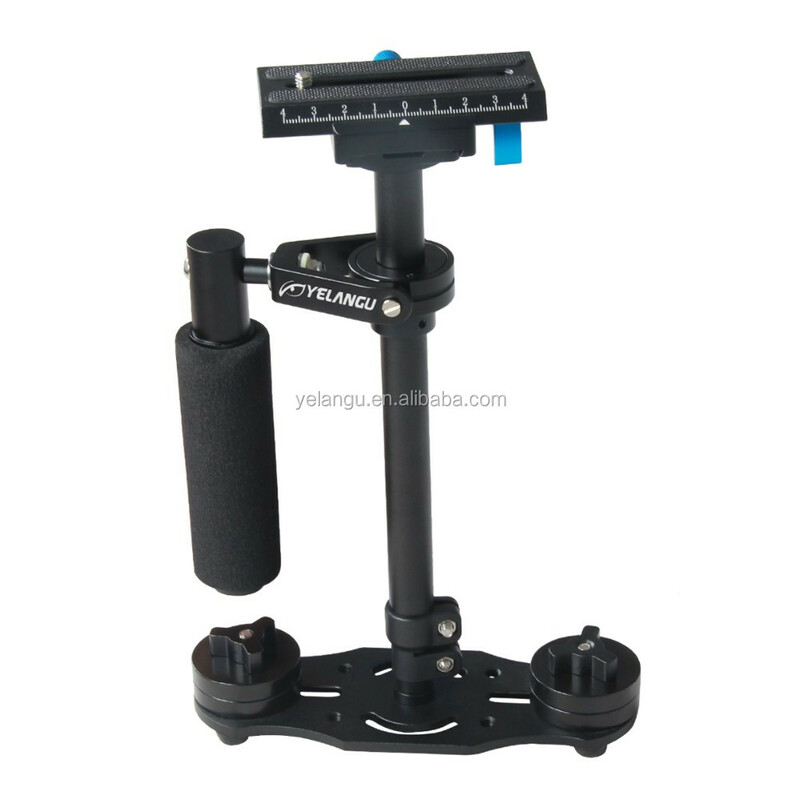 The height is adjustable from 28~40cm, and it's 360 degree all-round shooting, meet your different needs. 7. Matched with professional Shockproof vest, enjoy professional shooting experience. the king of wolf,we believe in the Wolf's ferity, unity ,wisdom ,courage ,and perseverance. "YELANGU" represents the wolf's dream, we hope to build a positive energy circle around our brand. The picture of eyes represent concentration,the concentration of wolf/producing and shooting. 1)Sample Order:1-3 days after receipt of the full payment. 2)Stock Order:3-7 days after receipt of the full payment. 3)OEM Order:12-20 days after receipt of the deposit.